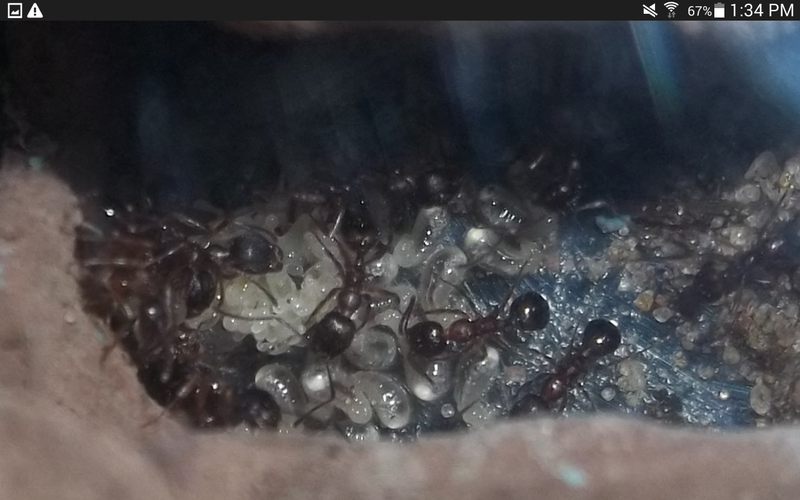 I caught two young colonies of Myrmica sp. under boards scattered around rail road tracks. The funny thing about these guys is they don't mind vibrations or being moved. I assume it's because the train put off so much vibration they were used to it. Anyways, I couldn't believe my luck. I got these two colonies only after ten minutes of searching. 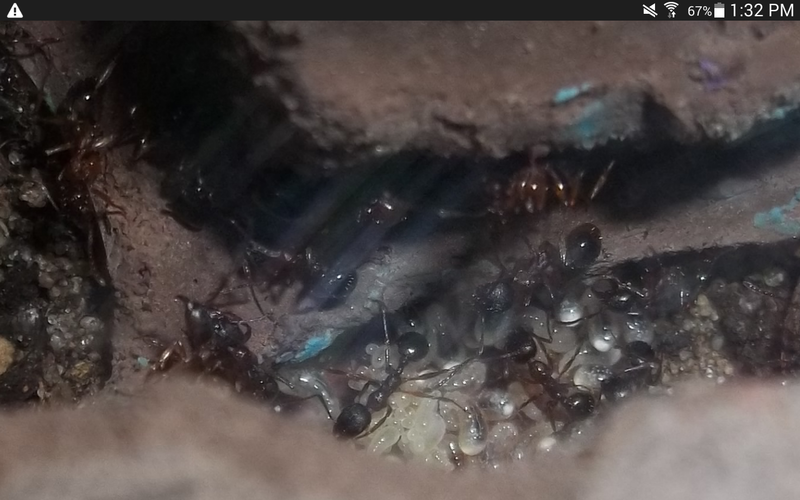 (with queen) I also found a formica colony in its founding stages but the queen wasn't no where to be found. These are pictures of colony #1.